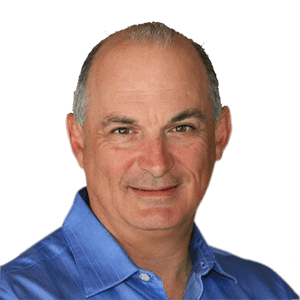 Bob Silva is a Sr. Loan Officer with V.I.P Mortgage, Inc. in Scottsdale, Arizona and has been a producer and mentor in the mortgage industry for 27 years. His vast experience as a Loan Production Manager and trainer for North American Mortgage Co, National City Mortgage and Bank of America he provides the expertise and current knowledge necessary to educate buyers and sellers throughout the financing process. Assisting Real Estate professionals to grasp basic understanding of the mortgage process so they can help their clients has been a big key in developing relationships with top producers and new agents in his surrounding area. Prior to establishing his business in our local area, Bob was born and raised in Santa Rosa, Sonoma County, California. He now resides in Cave Creek, Arizona and has lived in the community for the past 14 years. He is a long standing member of Dove Valley Ranch Golf Club. As a member of the Mortgage Banker’s Alliance, Scottsdale Area Association of Realtors and former Tour Coordinator for Tatum Ranch RMS and current Speaker Coordinator for the Cave Creek/Carefree RMS he has established relationships with agents throughout Arizona and focuses on the Carefree/Cave Creek/Scottsdale area. Bob is also a certified instructor with AZ Dept. of Real Estate teaching and writing classes on mortgage topics for continuing licensing education for area Realtors. Bob’s nickname “Magic” came from performing stage Magic as a teenager and worked professionally in Lake Tahoe, NV and loves to play golf and sing currently.